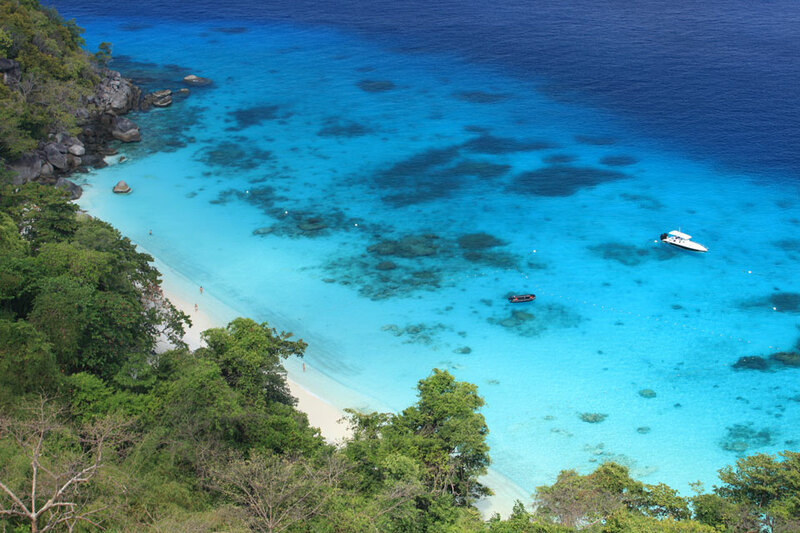 Similan Islands are one of the most pristine but at the same time remote destinations surrounding Phuket. 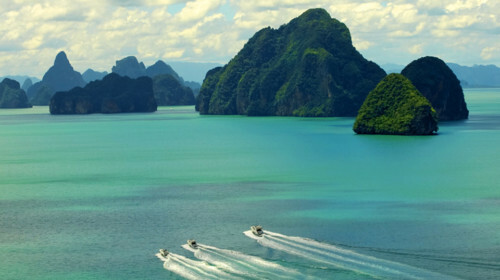 To shorten the cruising distance it is recommended to depart from the west coast of Phuket. It will take about 2,5 hours to reach the place by motor yacht. 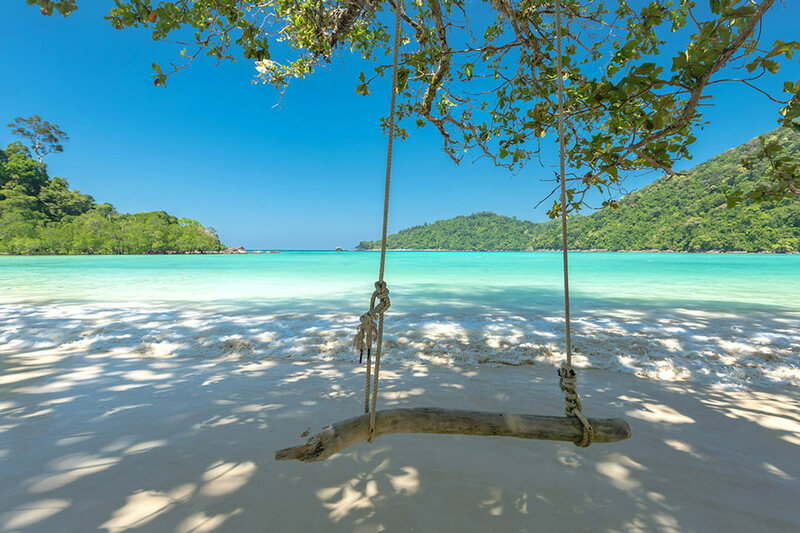 The archipelago consists of 9 beautiful islands with fine white sand and crystal clear water. Only 5 of them are open to visitors. 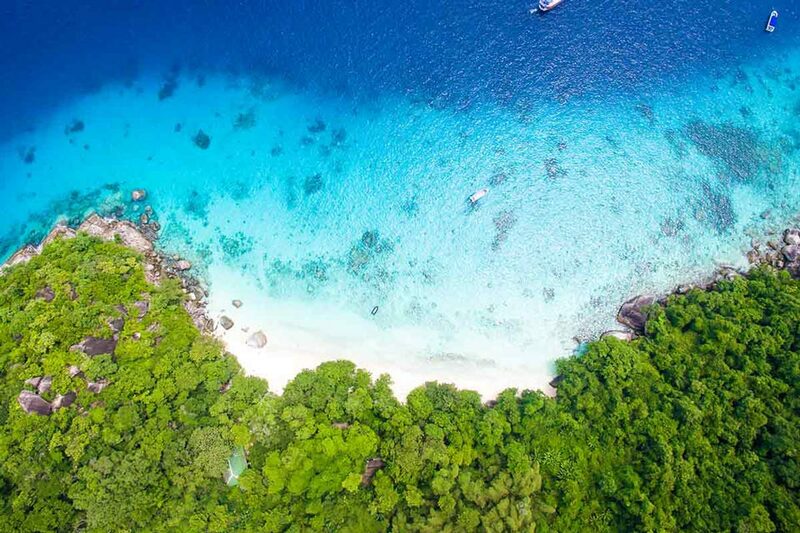 There are no restaurants and hotels at the Similan Islands, so all meals and overnight stays during the entire cruise will be offered on board your comfortable yacht. 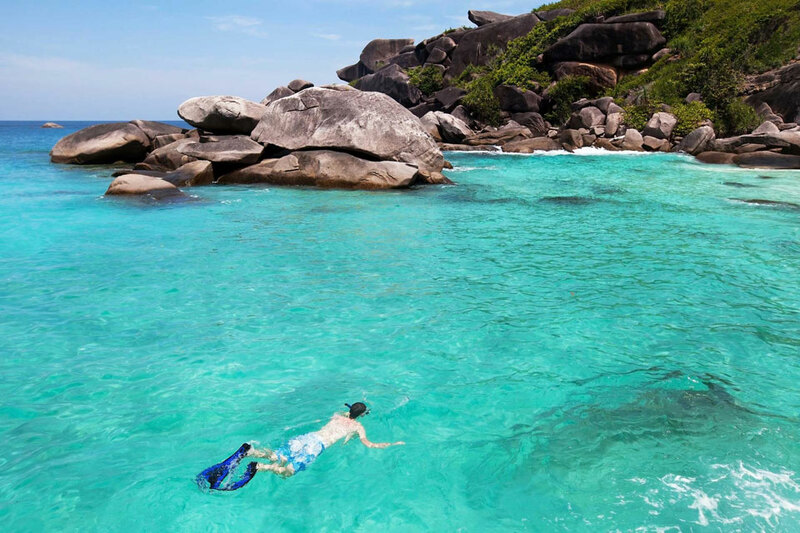 Spend this day exploring the tranquil Similan Islands. 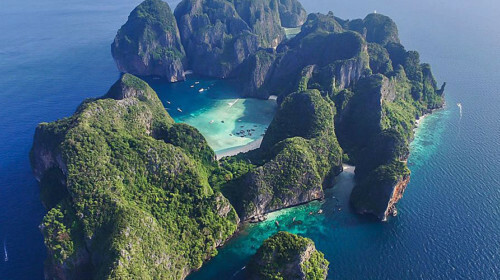 Monumental granite rocks, coral beaches, lush tropical forests, and clear blue waters will leave you speechless. The underwater world of the archipelago is equally impressive. 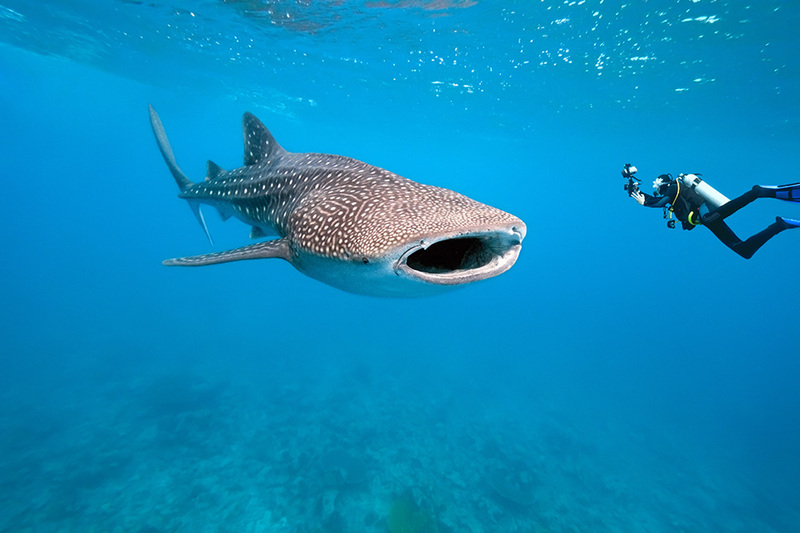 By all accounts, diving and snorkeling at the Similans are one of the best in the world. Along with the colourful lionfish and clownfish, you may also spot larger creatures like sea turtles, manta rays, or even a whale shark. 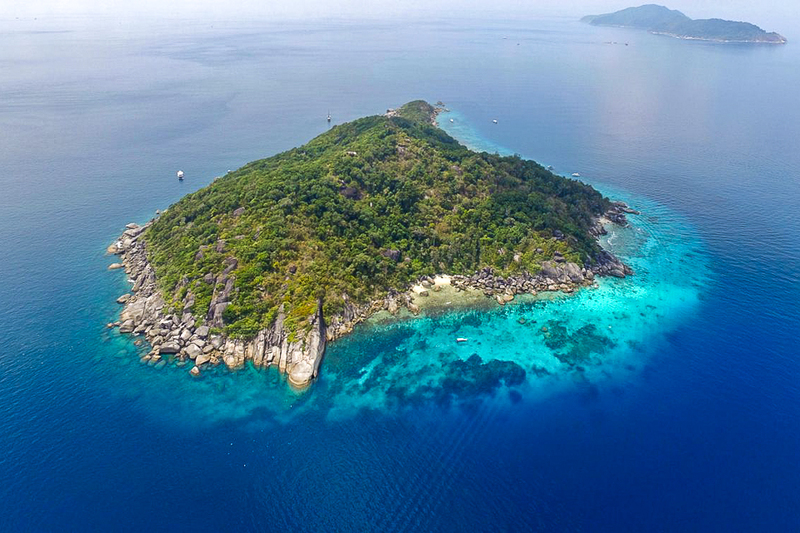 To the north of the Similan Islands there is another gem of the Andaman Sea, the Surin Islands. Reaching them will take about 2 hours with a stop at the idyllic little Island of Bon. 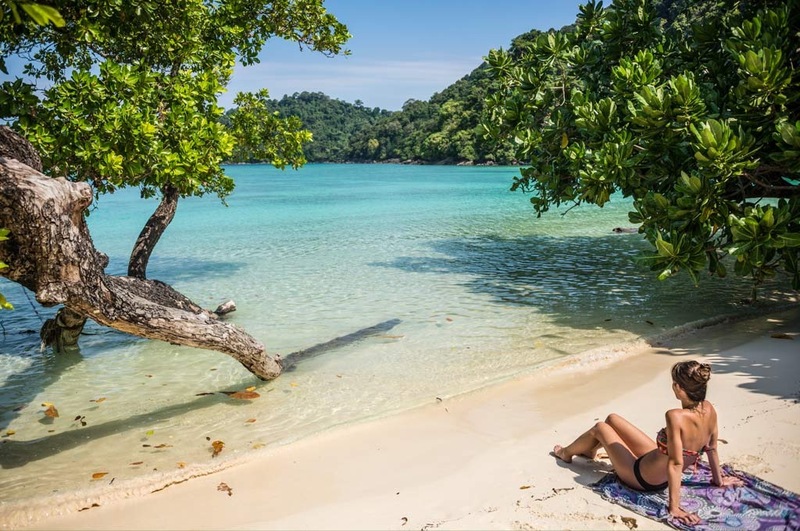 Thanks to its remote location, the Surin Islands National Park is protected from mass tourism and overfishing thus keeping its nature unspoilt. It is truly a tropical paradise, with healthy forested islands surrounded by clear blue water. 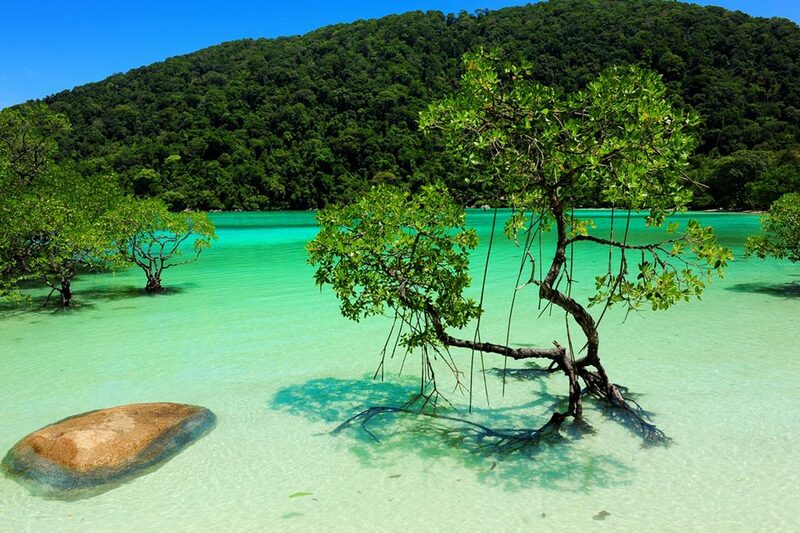 Spend the day snorkeling or diving in the emerald bays, admiring the mangroves and the picturesque rocks. 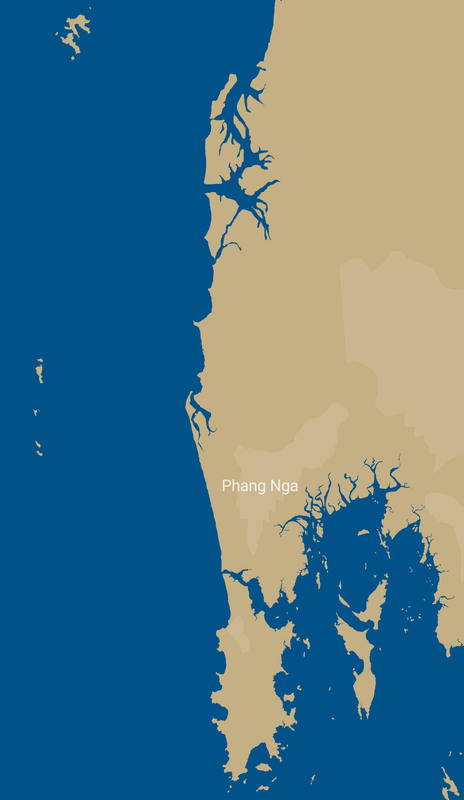 You are 90 nautical miles away from Phuket. Start your day with a delicious breakfast and a refreshing swim before heading back. We will stop for lunch on the west coast of Thailand in the area of Khao Lak. 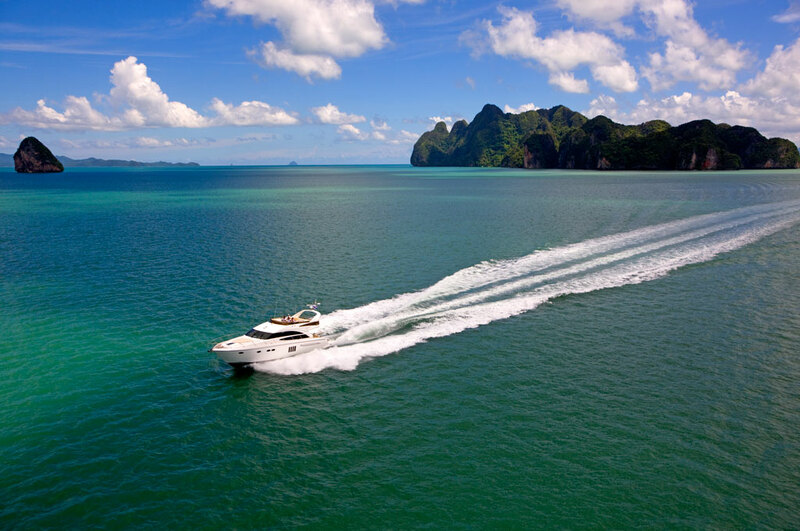 The yacht will then continue the cruise down to the west coast of Phuket, where you can finish the trip. 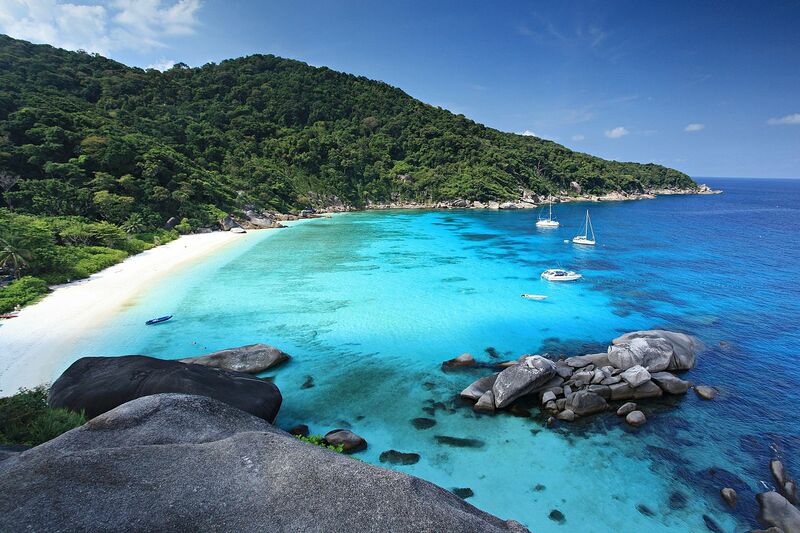 Contact Boat in the Bay to experience the 4-day private yacht charter Phuket to Similan Islands. 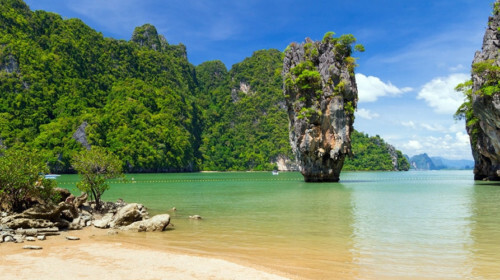 Other options on our 4 day cruise timetable starting in either Krabi or Phuket would be to visit the locations of the Racha Islands, the Phi Phi Islands, Phang Nga Bay, the province of Krabi, Lanta Island or Langkawi Island.